It is strange that there is no National Recognition day for First Responders. It appears there are competing resolutions from U.S. Senate and the House for October 28 and September 27 – but the initiatives are stalled. Meanwhile, these heroes go about their work every day, often selflessly risking life and limb, going beyond the call of duty. Short and simple: They are heroes our communities depend on every day! At Dynotag we believe every day is a First Responders Appreciation day… To put action behind words, we created a program to provide EVERY First Responder in the U.S. with a Dynotag Emergency MedID Smart Tag. Simply visit ThankFirstResponders.com to request your free tag. Know any first responders? Friends at the local Emergency Room, the Firehouse or the local Police office? Refer them to ThankFirstResponders.com – they certainly will appreciate your gesture. On average, 100 firefighters die in the line of duty each year. An estimated 240 million calls are made to 9-1-1 in the U.S. each year. Emergency Medical Services personnel treat 22 million patients a year. We urge all ours friends to sign the petition and help our First Responders get the day of recognition they deserve! Night Time Police Violent Crime Intervention. Police Vehicles with Flashing Lights. Emergency medical service. Paramedic is pulling stretcher with patient to the ambulance car. An alarming increase in the number of smoke and fire incidents on airlines from passengers’ malfunctioning lithium-ion batteries is causing concern among safety and aviation experts. Because all sorts of gadgets are powered with these batteries, they are a cause of increasing risk in aviation while all other aviation risks are decreasing over time. According to the FAA, the rechargeable lithium-ion batteries present in the luggage pose a fire threat in cargo areas. After all that happened in recent years with Samsung Note 7, Hoverboards and various devices (chargers, laptops, music players, etc.) there is consensus on the root cause: Lithium-ion batteries. Once ignited, these battery fires are extremely difficult to extinguish and require specific firefighting procedures. At the recommendation of the Federal Aviation Administration (FAA), a host of airlines—including American Airlines, Alaska Airlines, Delta, and Hawaiian Airlines—have announced that high-tech luggage and luggage tags with embedded batteries won’t be allowed on flights due to safety concerns. It is expected that all major carriers will adopt this policy to reduce risk of incidents. However, Dynotag Web/Location Enabled Smart Tags are not affected from this ban, as they do not contain any batteries or electronics. All dynotags keep their information and programming logic in the Dynotag Cloud Service (DCS) – making the physical tags maintenance-free. I’ve always been a cat person, but sadly, my ex-husband took our cats in the divorce, and my new boyfriend is allergic. So I started Googling “cat-like dogs” and one of the breeds that came up was basenji. The central coast of California, where I relocated to be near my boyfriend, is not prime basenji territory; it would be a long drive to LA or beyond to find one to adopt. I checked several local shelters, looking for a dog that would meet the criteria set by me and my reluctant landlady: adult, mellow, quiet, and friendly with other dogs since my workplace welcomes canines. At the third shelter, I saw a 16-pound tan dog called Harmony. They said she was a chihuahua mix, about 4 years old. I was far from sure, but thought she might be the one, so I called my boyfriend to meet her. He agreed, and I filled out the paperwork to take her home. We renamed her Fiona, and have since learned a few things about her: she’s part basenji (and probably dachshund, terrier and something else), she almost never barks (only four times in two months), she’d never seen stairs before, and she’s really about 6 years old. She’s also become very devoted to me, which is endearing and also a little scary. I’m glad she’s part of my life. Did you adopt a pet from a shelter? Do you know someone who has or is thinking about it? Let them know about our ShelterAngel charity program so we can send them a FREE Super Pet Tag also. We are always happy to send our complimentary Pet Tags to new parents of pets adopted from shelters. I recently was browsing the Petfinder website. After seeing many of the familiar dogs, a brand-new face appeared. As I clicked on this new dog, “Purity”, I was saddened to read of how she had been abandoned and nearly starved to start. I then was inspired to read about her recovery and her bouncing back to health. Despite someone’s past awful neglect, this young lady was friendly, loving and making friends everywhere she went. I then saw the video of her and discovered she was being fostered near me. I had to meet her. Dynotag Smart Tags top the rankings for most capable & affordable property tags once again! Founded in 2011, to perform independent tech reviews, Ezvid Wiki was the world’s first video wiki, and is now among the top 4,000 websites in the United States. Their YouTube channel alone has over 100,000 subscribers. The Wiki does not accept any paid sponsorships from brands so the reviews are unbiased. Dynotag IDKIT-070 has achieved a rank of #2 in for 2016’s best luggage trackers and is a top choice for inexpensive luggage trackers! Compiled with thirty-two hours of research, this video wiki guide, newly published in their luggage category, is a broad-ranging, impartial assessment of luggage tracker options available to consumers in the United States. Shelter Angel: Free SuperPetTag for adopting a pet! 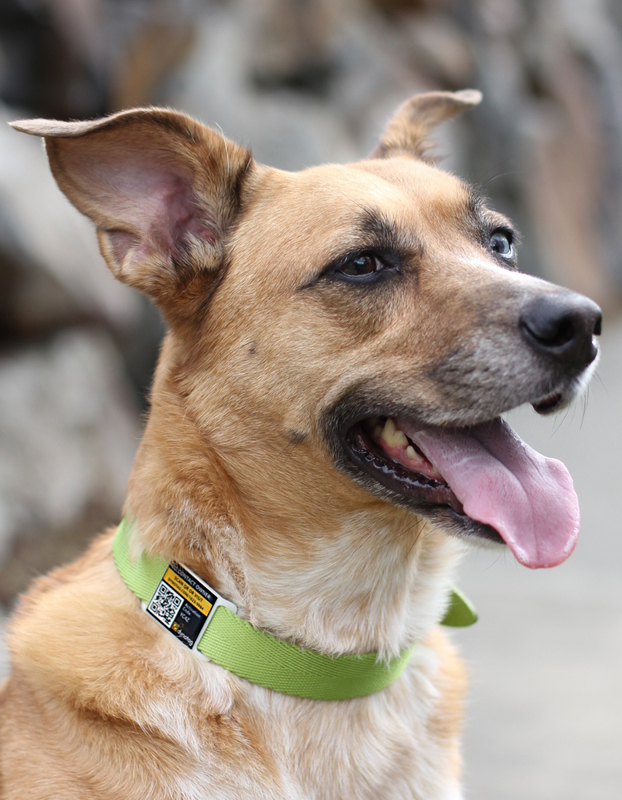 A FREE Dynotag Super Pet Tag for every shelter pet adopter! According to ASPCA, approximately 7.6 million companion animals enter animal shelters nationwide every year. Of those, 2.7 million are adopted. At the end, more than 2.5 million animals are put to sleep annually. Without help, the odds are bleak for our animal friends in need! Adopting from the shelters is the best way to save more animals. Our friends at the Humane Society agree! As the maker of top-rated Dynotag® Smart Tags, we want to help! Today, we are launching a charity program named “Shelter Angel” – rewarding anyone who adopts an animal from a shelter with a FREE Super Pet Tag ! We want to thank the good people giving our animal friends a second chance – and help get more animals adopted. Wearing their brand new SuperPetTag, adopted animals get a running start at their new home and will be protected should they stray away! Plus, the owner gets to maintain all the animal related records and information in the SuperPetTag, for life. No subscription needed! Best of all, there is NO cost to the shelter OR the adopter! Dynotag sponsors the Shelter Angel program in full – using a part of our Smart Tag sales to cover the Shelter Angel charity. In other words, every time someone gets a new Dynotag Smart Tag, they are helping the Shelter Angel program! Simply visit ShelterAngel.com for instructions. We cover recognized Animal Rescue Groups, Shelters, any official organization that can furnish “Adoption” documents to an adopter. 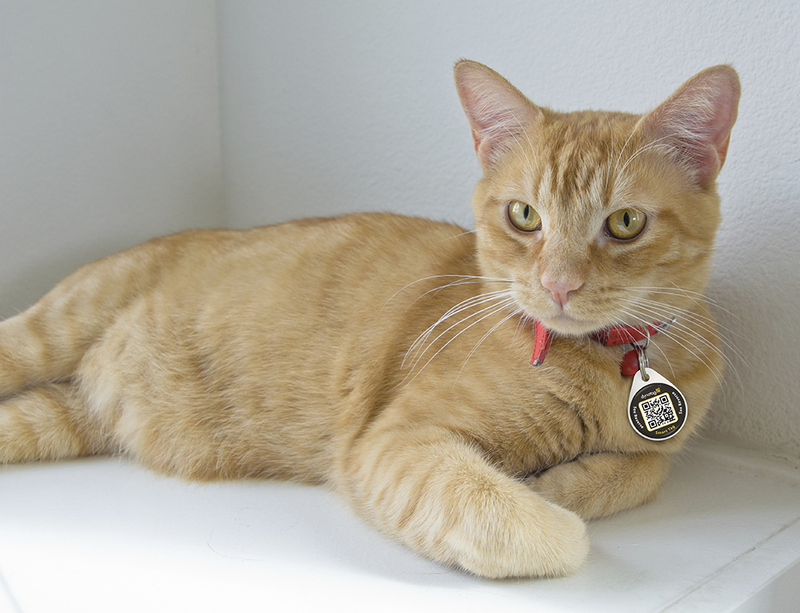 While majority of adoptions will be dogs and cats, we sponsor any animal that can wear a tag. Do you know any friends, neighbors or relatives who are thinking of adopting? Any animals which were adopted in the last month? Tell them to visit ShelterAngel.com to request their FREE Shelter Angel tag, which comes with a “Thank You!” letter directly from our offices. Thank you for helping our animal friends in need get a second chance! SuperPetTag: An Internet of Things (IoT) Tag for Your Pet! Internet of Things (IoT) – is quite a buzzword these days. That’s fine, but how can it improve our everyday life? Do we really need a talking backpack or shoes? The novelty usually wears out as soon as we realize many of these devices need tinkering with configuration, ongoing maintenance of finicky electronics and meticulously topped-off batteries – as dead batteries means dead IoT device and – no IoT service! In many cases, there is also an ongoing subscription fee involved – and the story loses appeal quickly. However, there are IoT products that quietly deliver a reliable, affordable solution today – and – Good news: Resilient and maintenance-free, Dynotag Smart Tags are (and have always been) IoT devices powered by Dynotag Cloud Service (DCS) IoT system. One of our most popular offerings over the years, innovative Dynotag Smart Pet Tags have been the choice of savvy pet owners everywhere. We have been listening to our users and constantly improving our offerings, introducing several new pet tag designs for pets of all sizes and energy level. On the software side, we recently announced the SuperPetTag capability – a huge leap in the capabilities of our already impressive Smart Pet Tags. In a nutshell, SuperPetTag (User Guide here) adds the capability of a general purpose File Cabinet to every Pet Tag – enabling you to maintain your pet’s Vaccination Records, Lab Test and Medication Records, Medical Procedure Records and any other information you deem relevant – all in one place – in your pet’s dynotag smart tag! Furthermore, we provide the basic template documents for you to use as a starting point for your recordkeeping. 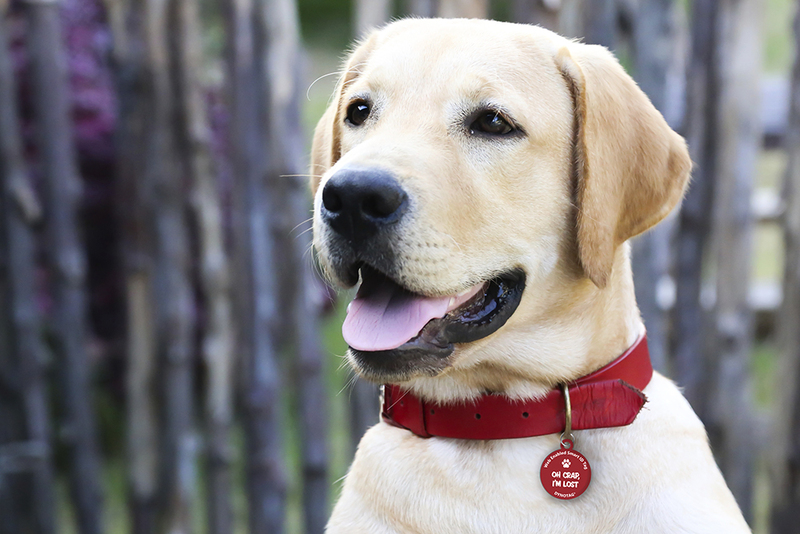 It is a complete pet information maintenance system kept in your pet tag! Because all the data and files are kept by the Dynotag Cloud Service – the information stays with you even if the physical tag on your pet is lost or damaged! 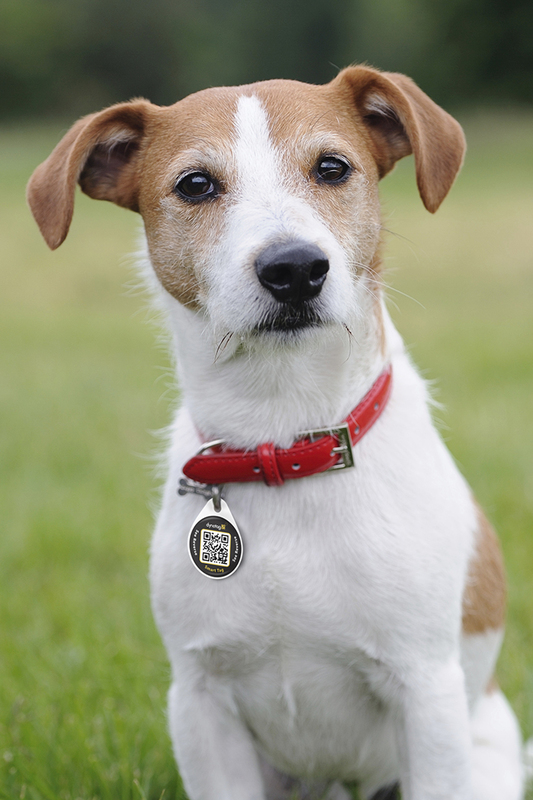 Simply get another dynotag pet tag, and set it up as a clone of the original dynotag. Behind the scenes, for added reliability, Dynotag Cloud Service even keeps multiple copies of your information to guard against data loss. Amazingly, SuperPetTag capability in our pet tags still comes with lifetime subscription included! Even more amazingly, all existing Dynotag Pet Tags are automatically upgraded with SuperPetTag file cabinet capability. No additional purchase is needed! Are you a shelter? Veterinary practice? Pet Service? – contact our partner team to arrange for your customized Private Label SuperPetTags in bulk! According to IATA, In 2015, global air travel increased at its fastest pace after 2010. Flights are full, airports are busy and when the traffic increases – so does the rate of luggage mishaps. Almost half the mishandling is “Transfer Mishandling” – meaning that any time you are not non-stop to your destination, your luggage risks getting mis-transferred – even if it was loaded on your departing flight properly. A full 17% of the mishandlings is “Failure to load” on your original flight. You can help your luck by checking your luggage in at least an hour in advance. Given 4.2% of bags were lost or stolen – it makes sense to have an ID tag on the luggage as well as in the luggage, in case the outside one is removed. The good news is mishandled bags per thousand airline passengers is down to 8.83, which is a considerable improvement. However, once you leave the airport, you are on your own – but your dynotags will continue to be on the job, should your luggage stray away before you get to your destination. The tags are in good operational shape and their loop is secure (a drop of glue makes the loop permanent). Remember all dynotags come with a full year warranty. The information on the dynotag is current. The information on the dynotag is minimal. You can always sign in to your dynotag account on your smartphone or tablet/laptop and update your tag’s content even – when it is out of sight. Keep your personal information hidden until needed. Your dynotag has reward information is in place. Do not forget to offer dynotag’s good samaritan rewards on your tag – it is free for dynotag owners and incentivizes recovery of your property! Supercharge Your Business Card with a Dynotag! The versatile – yet secure and easy to use dynotag service can help you to reach your audience in a variety of ways. One of these is using a dedicated dynotag on your business card. If you wish to have a flexible, effective, and easy to use way to share information about yourself or your business with those you come in contact with every day, this easy to use tool is the perfect solution. More importantly, you can customize your dynotag in various configurations so you are always providing the right information to the right person. What Is Dynotag and How Can It Improve My Business Card? Dynotag is a web-based Smart Tag service – which you can add to your standard business card layout – which you can prepare yourself online using a service like zazzle.com or vistaprint.com – or just have your local business printer do it for you. Simply create your your private, unique dynotag and place on the business card as described in this article. Update the contents of your dynotag at any time! Provide simple text, or a picture, a document – even a set of documents if you wish! Receive an email notification every time your business card dynotag is accessed. If you wish, you can even get the location viewing the tag! Make an impression as someone who knows how to use the technology effectively! How Can it Help My Business Card Usage? How often do you hand your business card to someone and tell them to call you? Perhaps you have a website listed on your card that you put a lot of time and effort into and you hope that people will visit it to learn more about your product, service, or even just about you, but you know they simply will not sit down to do so? With Dynotag, all they need to do is to scan the code – or visit the web address – and they are presented with all of the information that they need – that you want them to know. Plus, you receive a notification every time your tag is viewed! Simple. Effective. Impressive! Use Your Business Card Dynotag in your Email Signature! You can link potential clients to your online portfolio so they can see what you really can offer. You can link them to your curriculum vitae or resume. You can link them to customer testimonials you have. Link them to a presentation about your product or service. Provide them with additional information that fits your needs. Update your business card when you are attending a convention or prior to an important meeting! You get only a few seconds to provide potential clients or business owners (or even hiring managers) with information about you. With this simple addition to your business card, though, you allow them to take all of the information you want them to have and use with them. They can easily scan the QR code from any smartphone or visit the unique tag address on their computer and learn as much as they want about your company and your services. This is a tool that you can continue to customize to meet your needs – so these may be the last business cards you need!